How Michael Jordan and the 1980s reshaped American politics. We trade in the responsibilities of democratic citizenship for the pleasure of a superfan’s enthusiasm by simply backing whatever is being pushed by the political Michael Jordan we like. The’80s-born cult of the individual has told us that the only way to make decisions is to trust, follow, mimic and take orders from gods. And so today, whether it’s an athlete, actor, pundit, religious leader, New Age guru, or politician, we buy the celebrity pitchman, not the product being hawked. Whereas we used to merely get our basketball entertainment from the actual Michael Jordan, we now also get our money advice from the Michael Jordans on CNBC and our ideological marching orders from pundit Michael Jordans on MSNBC and Fox News. For everything else, we rely on one of the two Chicagoans to rival Jordan for individual brand dominance: Oprah. The other Chicagoan, of course, is President Barack Obama–the reigning MVP of a politics and government that was first Jordanized in the 1980s. Since the 1980s, our politics have focused solely on the president, and both parties have vested more and more power in the executive branch as if the “In God We Trust” motto on our currency specifically references the presidency. Consequently, whenever anything bad happens anywhere in America, we reflexively expect an immediate solution from whichever President Jordan is in office. When that president can’t instantaneously break the opponent’s defense and hit a basket, he inevitably appoints a special czar as his own personal mini-Jordan to try to dunk on the problem. And if anyone asks any questions or mentions such things as constitutional separation of powers (that is, something that mandates more of a governmental team game), the President Jordan and his entourage simply brag that he has every right to do whatever the hell he wants. Consider the reaction to Bush’s address to Congress in the immediate aftermath of 9/11. The Wall Street Journal’s Peggy Noonan called it “a God-touched moment and a God-touched speech,” while The Weekly Standard’s Fred Barnes said “the stage was set for Bush to be God’s agent of wrath,” and the public rewarded Bush’s subsequent power grabs with record-high approval ratings. Sure, many Americans ended up hating Bush for what he did with his authority, just as many Bulls fans hated Jordan for opting to end his career on the Washington Wizards. But many still want a Michael Jordan as president–a reality that George W. Bush’s successor has long understood and capitalized on. For all his happy talk of “bottom-up” politics, movement building and community organizing, Barack Obama’s political genius has been understanding the Jordanized world he occupies. While his rivals have run scrappy electoral and legislative campaigns against him by appealing to voters and special-interest constituencies on the basis of ironclad issue positions, Obama (like Reagan before him) often pitches his personal intangibles (pragmatism, optimism, bipartisanship, etc.) as his unique selling proposition. Tellingly, he tends to eschew concrete positions when he can, not only because he’s afraid to accidentally flip-flop or because he doesn’t want to gum up fragile negotiations, but also because his fundamental sales pitch to the public has always been about how his individual talents–regardless of his positions–can best serve the nation. It’s back to Jordan’s Archangel Offense: Give the legislative rock to Barack, and he alone will find a way to lead Team America to victory. Being a fan of Michael Jordan’s in the 1980s was comforting because you always had someone awesome to root for, and always had opponents to root against and demonize. Same thing when we outsource basic cognition to the other Michael Jordans in our lives–and now especially the political ones. The result is a cloud of counterproductive confusion and contradiction increasingly divorcing us from what’s actually going on in the real world. Many self-described “anti-war” Democrats now cheer on their Jordan president as he escalates militarism in the name of ending military conflicts, just as antigovernment Bush voters trumpeted their Jordan president as the Republican used state power to trample civil liberties in the name of democracy. Judging by the quasi-religious idolization of various late-20th century superstars, the 1980s succeeded in grafting a feudal sensibility onto a country that had, for years, clung to a democratic dream. For sure, America has never actually been a functioning democracy. Since the country’s founding, the rich have been buying elections and a permanent aristocracy has been exerting undue influence on the government. But up until the mid-’80s, many Americans clung to that civics-class ideal of the one-person-one-vote, up-by-the-bootstraps vision of a democratic society. That changed in the 1980s when an explosion in economic inequality coincided with a strain of ad campaigns, political reporting and entertainment products attempting to teach us that, in reality, there are Kings such as Jordan, Reagan, Schwarzenegger and Iacocca who possess mystifyingly great powers. Then there are the rest of us who can’t possibly hope to be those sovereigns–the faceless serfs who have no value beyond our willingness to worship the Kings, whether via the ballot box, ticket booth or television set. At the same time, another strain of equally powerful ’80s propaganda offered a sliver of hope for the American Dream, sculpted with commoner-makes-it-big tales and rags-to-riches hagiography. During tough times America has always told itself these two stories: the more authentic one about gross inequality and ruling classes, then the feel-good fantasy about those wrongs being overcome by personal heroics. But eventually the mundane realities of systemic oppression evoke a pining for something different–something aspirational, something more concrete than myth, something full of (here’s that political cliché) hope. Nike capitalized on the moment with its 1987 “Revolution” ad, a prototype of the subsequent “Just Do It” invention. Instead of yet another comic-book-worthy campaign showing only sensational athletes and their dazzling skills, this spot mixed black-and-white clips of those superstars with shots of regular people of all ages participating in amateur sports. In a 2009 CNBC interview, adman Dan Wieden correctly pointed out that the late-1980s idea of Just Do It “spread like a disease,” and it did so because it sloganized a zeitgeist that was already metastasizing throughout the political and popular culture. Let’s stipulate that even though the 1980s significantly intensified the Just Do It ethos, that ethos is far from an exclusively 1980s phenomenon. It has been a part of the American lexicon in some form for the country’s entire existence. Phrases such as “rugged individualism,” “anyone can grow up to be president,” and “land of opportunity” are all earlier presentations of the 1980s three-syllable endorsement of self-sufficiency. But in the last quarter of the 20th century, this theology came to dominate in a way it never had, and not just because Nike came up with the perfect trio of words. The 1980s saw the theology uniquely amplified by the ahistorical rise of ostentatious celebrity, hero-worship culture, and their attendant promise of divine rewards that never before existed. As the 1980s became the present, personal debt skyrocketed both because of declining wages, and because of the added pressure to “keep up with the Joneses” in an ever-more-garish society. Meanwhile, participation in civic organizations dropped precipitously. Between 1980 and 1995, the number of Americans who said they attended even one public meeting (PTA event, town hall meeting, etc.) declined by 33 percent, and between 1985 and 1994, active participation in community organizations dropped by 45 percent. At the same time participation in public and community-oriented institutions and causes started declining in the 1980s, participation in the self-help industry started skyrocketing. So it wasn’t just a matter of time being lost, it was also a matter of time being diverted into more self-centric activities. In politics, this narcissism came to be expressed as support for more and more economically punitive politics. The social safety net, once the sign of a compassionate and civilized country, began being ridiculed by Republicans and nascent “New” Democrats as a wasteful handout, serving only to hold individuals back from achieving their dreams of millionairedom. Foreign aid to impoverished countries, a tiny fraction of the national budget, started being criticized as a handout to the undeserving. 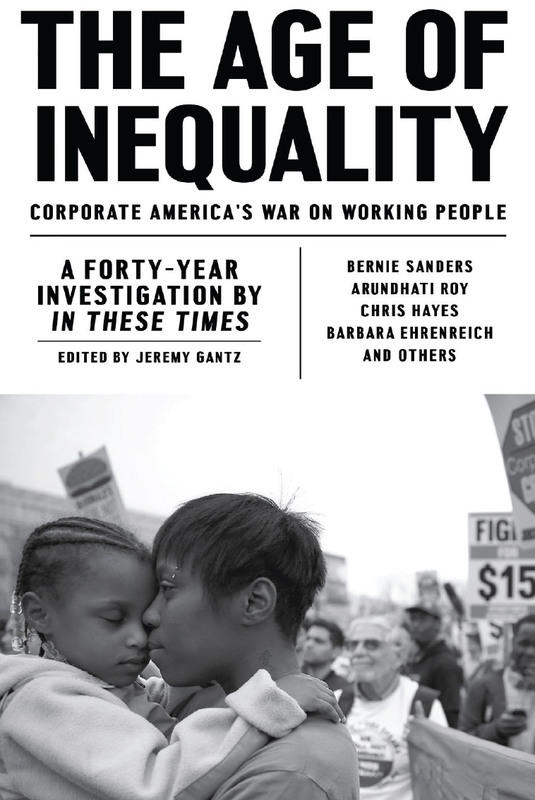 The poor, once viewed as unfortunate casualties of inequality, were attacked–by Democrats as lazy, and Republicans as selfish. Populist rage was directed at anything that reeks of altruism on the grounds that while individuals need to Just Do It for themselves, they shouldn’t have to chip in to any kind of program that helps others Just Do It too. And the politicians leading the charge, whether crusading Reaganites or end-welfare-as-we-know-it Clintonites, were (and are) rewarded with election victories for their stands. Even if you believe that America is a meritocracy, the definition of “succeeding” has been laced with narcissism thanks to the ’80s. After Wall Street melted down and the government gave trillions of our tax dollars away to speculators to cover their losses, there were few mass protests–and none that made a damn’s worth of difference. The bankers who had destroyed the economy soon went back to paying themselves billions in bonuses, only now financing them with public money. More telling, the superrich felt free to flaunt their narcissism without fear of a backlash. With one in four kids on food stamps and with unemployment at 10 percent, one Wall Streeter told The New York Times that Congress should oppose executive pay caps because “$500,000 is not a lot of money,” while a major Democratic Party donor said, “The investment community feels very put-upon”–the same “investment community” that got $12 trillion in taxpayer-financed bailouts. Far from railing on this kind of gluttony, the media joined in to promote it. In typical dispatches, The New York Times published an article insisting that half a million bucks a year “can go very fast,” while The Washington Post headlined a piece “Squeaking by on $300,000” and lamented the plight of those in the top 1 percent of income earners. That economic bias is only the beginning. The once sterile and serious business of governing used to define success as passing legislation and fixing problems. Thanks to the ’80s spirit, though, political success today is defined by politicians, reporters and the public as making oneself a television star, not for any ideological cause, but for the cause of television stardom itself. At least his program is vaguely about political issues–that is, at least you can argue that he’s not putting his television fame before potential public service only because he desires stardom and nothing more. You can’t make that same argument about Sarah Palin, the embodiment of narcissism for its own sake. A former half-term governor from one of the least populated states in the country, she is nonetheless one of the most famous political figures in America. Why? Not because she champions any particular cause or passed any legislation. She is the ultimate Just Do It story in the biggest reality television show there is–infotainment. This truly average American wins the fame lottery, makes it big on the Republican presidential ticket in 2008, and now continues making it big by becoming a celebrity for celebrity’s sake. We are all complicit in this attitude, and we emulate its bizarre version of the Just Do It ideology in our own oxymoronic ways. This essay was adapted from Back to Our Future: How the 1980s Explain the World We Live In Now–Our Culture, Our Politics, Our Everything (Random House). 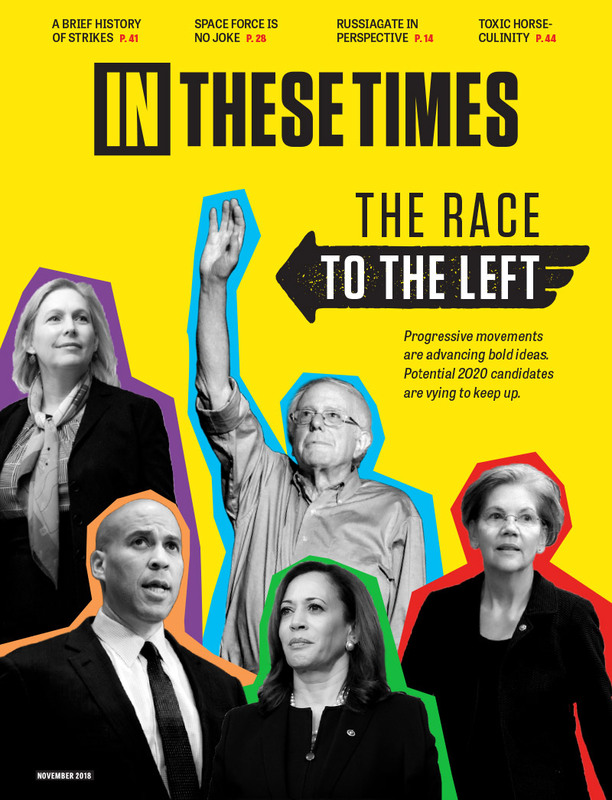 David Sirota will be reading from and discussing his new book at a special In These Times event on Thursday, March 24 at the UIC Student Center in Chicago.